Despite the falling price of fuel at the pump these days, it should still be a priority of companies operating fleets to keep costs as low as possible. Pete Bridgen, MD of Allstar (part of the Fleetcor group), looks at how fuel cards can help make a difference to the bottom line. 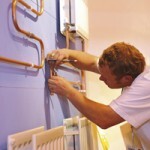 Heating and plumbing engineers have to juggle many challenges as part of the day-to-day job. For those running small to medium sized firms, these pressures may include staying on top of legislation, managing taxes, communicating with customers, and keeping up with health and safety issues. But all businesses will benefit from spending some time minimising expenditures. And obvious place to start is with fuel. With fuel prices still fluctuating, there’s no doubt that fuel prices can have a serious impact on your bottom line, especially if you are running a fleet of vehicles and your drivers are claiming their business mileage back through expenses. This is where fuel cards come into their own. For those that aren’t familiar with using fuel cards or their benefits, at the most basic level they are simply a means to obtain fuel at commercial rates and allow access to a nationwide network of convenient refuelling sites. Historically, this was the extent of their remit, but the speed of technological change is such that modern fuel cards offer much more than just cheap fuel. The reality being, wholesale cost savings and substantial fleet efficiency benefits can be gained by signing up to a fuel card. So for those running a fleet of vans or light commercial vehicles, anywhere up to 10, 20 or 30 vehicles perhaps, it’s worth knowing a bit more about fuel cards to ensure you can take full advantage. Big improvements in fuel cards and fuel management solutions for instance in the last few years have emerged not simply as a means to an end, but as a vital cog in the fleet machine, helping to ensure that end users maximise the value of every litre purchased. Key to any fuel management strategy is time saving and easy access, so choosing a fuel card partner who can offer an extensive UK coverage, meaning drivers don’t have to deviate from their routes to find a participating site, is a crucial factor. In recent times, there has also been a significant rise in the number of technologies to help reduce costs that enable business owners to monitor driver behaviour more accurately, including reporting systems and miles per gallon monitoring and on-board vehicle software systems. Choosing the right fuel card is very much like choosing the right current account or credit card: different ones will suit different needs and business requirements. The Allstar One Card, launched earlier this year, is one of the latest innovations to hit the market, and represents a good example of how modern fuel cards are evolving to meet new customer demands. The Allstar One Card, for example, provides customers with access to the largest network, with nearly 8000 located across the UK. Users also have access over 1800 sites where they can purchase discount diesel, typically at two pence per litre cheaper than pump price, which can save businesses thousands of pounds each year. The card also allows users to utilise other products and services including glass repair and replacement, tyre services, breakdown and fuel assist cover, M6 toll payments and service, maintenance and repair (SMR) – a solution that can potentially save businesses up to 20% off their SMR costs against the retail cost of the work. An additional ‘rental’ service will be added later this year and more are likely to follow suit as the card moves beyond being merely a vehicle for fuel purchase and becomes a comprehensive fleet payment solutions provision. The wider spread of benefits offered from cards like this is a response to a growing number of customers who are beginning to see the real cost and time saving benefits of using their fuel card for additional services. The other key advantage is the notable administrative benefits, which can save businesses time and money as all transactions are itemised on one HMRC-approved VAT invoice. Streamlining business purchases is a major benefit of moving over to a fuel card, and particularly one that offers a range of additional services. Carrying multiple cards, or relying on credit cards for purchases, can also potentially jeopardise control over what can be purchased, when and by whom. It should be clear by now that fuel cards offer much more than cheap fuel and access to a strong network of sites. 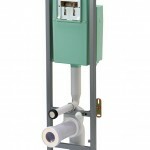 Fuel spend is a major business issue, so it is certainly worth looking into what fuel cards can offer your business. While many of the more advanced management tools are designed with larger fleets in mind, there are still huge benefits to be gained from smaller fleets of cars, vans or light commercial vehicles who want to ease their fuel burden and increase profits.